Students see quickly and easily the locations of nine major civilizations of the ancient world: Sumer, Egypt, India, China, Greece, Rome, the Incas, the Aztecs, and the Maya. 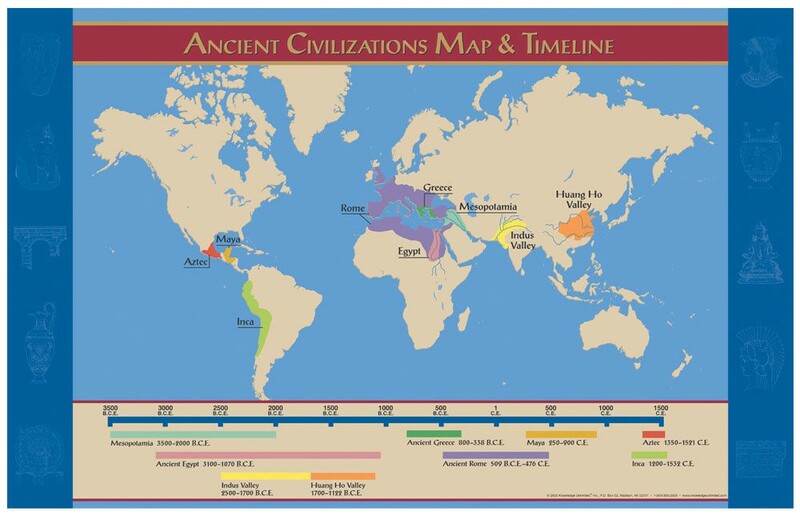 The timeline at the base of the map gives students a clear comparison of the times in which each of these civilizations arose, flourished, and ended. On heavy, coated stock.